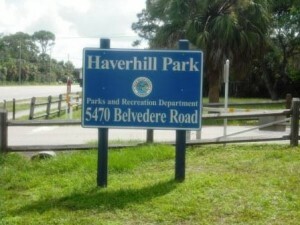 If you are looking for a park that’s not too big but still has quite a few amenities, and you live in this area or you are considering relocating to this area, then you might consider visiting Haverhill Park. 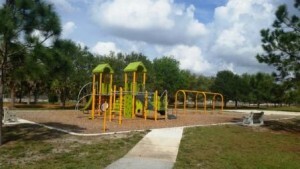 Located right off Belvedere Road, it is conveniently located close to many residential areas. Park is open sunrise to sunset. 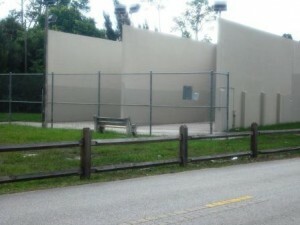 As you enter the park, you will find the racquetball courts on your left and tennis courts on opposite side. Parking is available close by as well as drinking fountain. 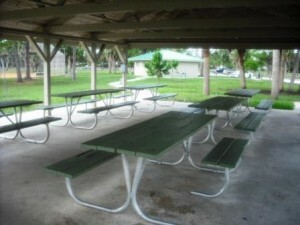 As you proceed further, you notice the picnic pavilion with 6 tables that you could reserve for an important event. Perfect for birthday parties, family reunions and any social occasions, you also have two large grills for all your cooking needs. 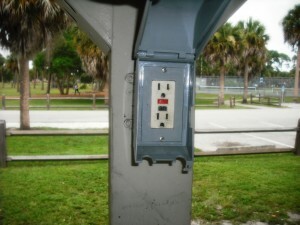 The pavilion is equipped with several electrical outlets which is very convenient for charging up your cell phone. Restroom facilities nearby. Across the street is where the children can go and release some of their never ending energy. 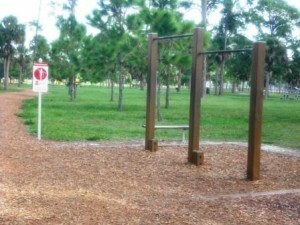 The children playground is equipped with swings, and a couple of play structures. 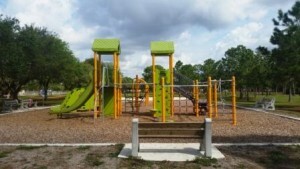 Benches are close by for parents to relax while keeping an eye on the kids. 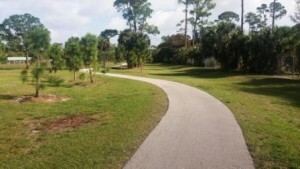 What many people who visit regularly enjoy is walking/jogging on the exercise trail. 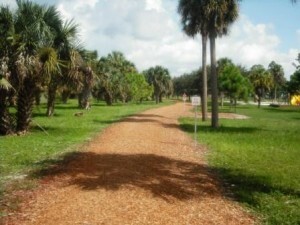 The path is filled with mulch which many people prefer because of its softness underfoot. 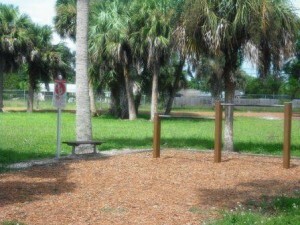 Along the walking trail, you can stop by one of 20 exercise stations and follow the instructions posted to help you stay in shape. We all know some of those are hard to do but at least they are available and who knows, perhaps one day there will be a little voice inside saying “Hey, let me stop here and try this for a minute”. What is this they say….no pain, no gain? Regardless, even by just walking at a normal speed, if you follow the path to its completion and do it a couple of times a day, you can reap the many benefits associated with it. We are told that walking at least 30 minutes a day is so beneficial to our overall health, and so let me encourage you to do what you can and try to do a bit more the next time. There are no specifically designated area for dogs, where they could play together in an enclosed fenced off area. However, you will find many people walking their dog. In this park, it is advised that you keep your dog leashed for everyone’s safety. 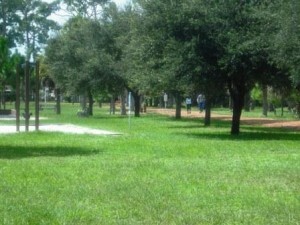 Let’s keep the park clean! 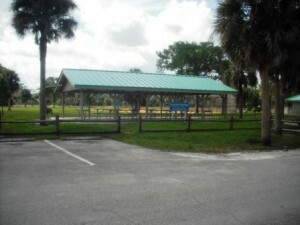 There are many single picnic tables for those who just need to relax, come have a snack, meditate or read a book. It’s fun to meet friends at the park. Let’s encourage teenagers to spend more time outdoors. 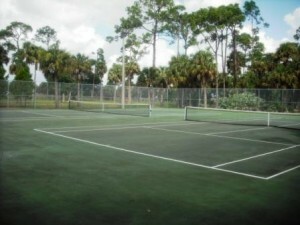 For those who love tennis, you will find two tennis courts for your enjoyment and for the racquetball lovers, you can pick one of four courts. Benches and fountain close by to take a break. Both tennis and racquetball courts are lighted and open until 9 pm. 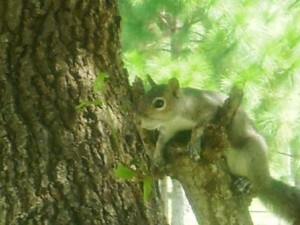 Squirrels are abundant in this park and I’m sure were given many treats by people. You can tell by the way they look at you and wait patiently to see if you brought something for them. For parents who are looking for bicycle path for their children or for themselves, they would have to go somewhere else as there are no paved path. I would not recommend using the mulch path to ride bicycles nor the parking area. Unless you just happen to stop by with your bicycle and ride around, safety is important for everyone. Parking spaces seems adequate for the size of this park, however it can get pretty busy on the weekends especially if there’s an event going on. Overall, this is a pretty nice park. Hope you enjoy the photos taken today at this park. 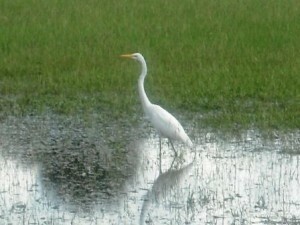 Because of all the rain we received years ago from tropical storm Isaac, the park had a low area where there was still standing water and I took a photo of a white egret enjoying the water. 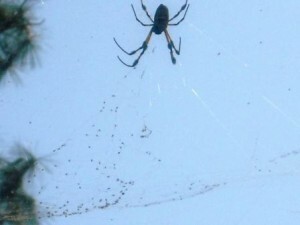 I also noticed this huge spider overhead between trees on the walking trail. 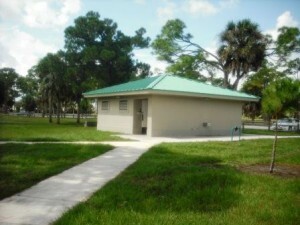 Haverhill Park had a tendency for flooding in certain areas and the County usually had to bring pumps to help relieve flooding problems. Tropical Storm Isaac had caused extensive flooding in the western areas as a result of approximately 10 to 14 inches of rainfall during a very short period of time. When I visited on this day, the county probably was waiting for all the water to recede so they could go in and mow the lawn and do clean up. 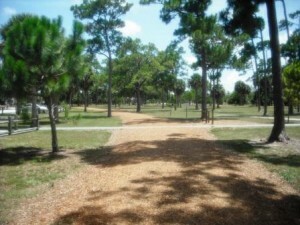 Usually the park is kept very clean and the county does a great job keeping it that way. To improve drainage, the County has added permanent pumps which will definitely help during heavy rain periods in the future. They also have added greenery and bushes around the black fenced area so as not to deter from the scenery too much. They have since done away with the softball field as this was the first place to get totally covered with water. 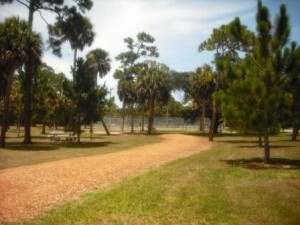 Instead they have extended the walking/jogging path. 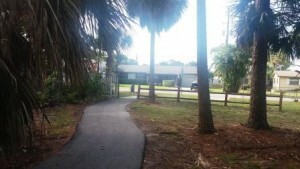 A nice paved path has been added for easy access to the neighborhood residences. The path leads to the racquetball courts area. Now go and enjoy the park! Take the kids and let them play ball. Have fun, play, run, walk or just sit and watch nature.